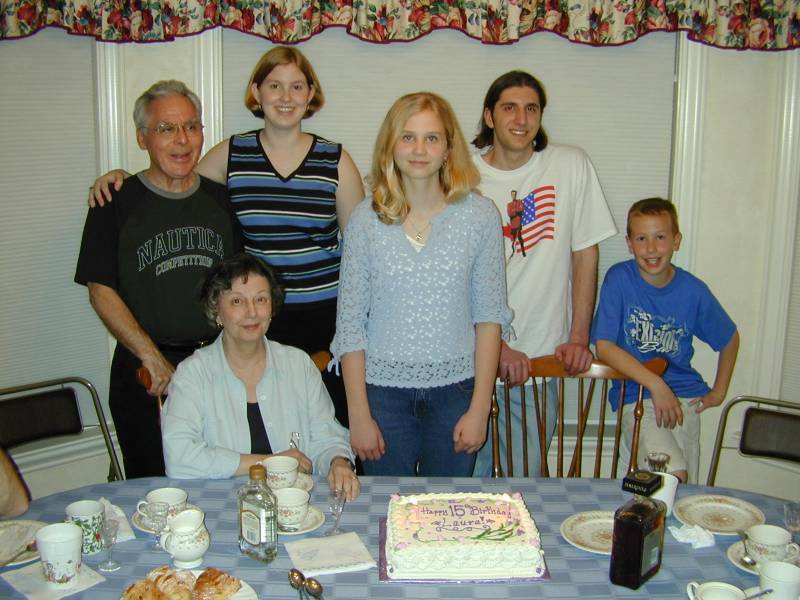 3/25/2000 - Granite Bay, CA: At Diana & John's house, standing: Sam, Elizabeth, Laura, Joe, and Phillip. Sitting: Adrienne. Celebrating Laura 's 15th birthday.